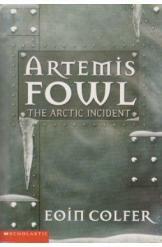 Artemis Fowl The Arctic Incident by Eoin Colfer Sci Fi. The book is in a good condition and all pages are intact. This book is the second in a series of eight books featuring Artemis, the teenage criminal mastermind who captures Holly Short. In this book he allies with the Fairies to rescue his father from the Russian Mafia.